How the USGA Got My Attention, Fast. 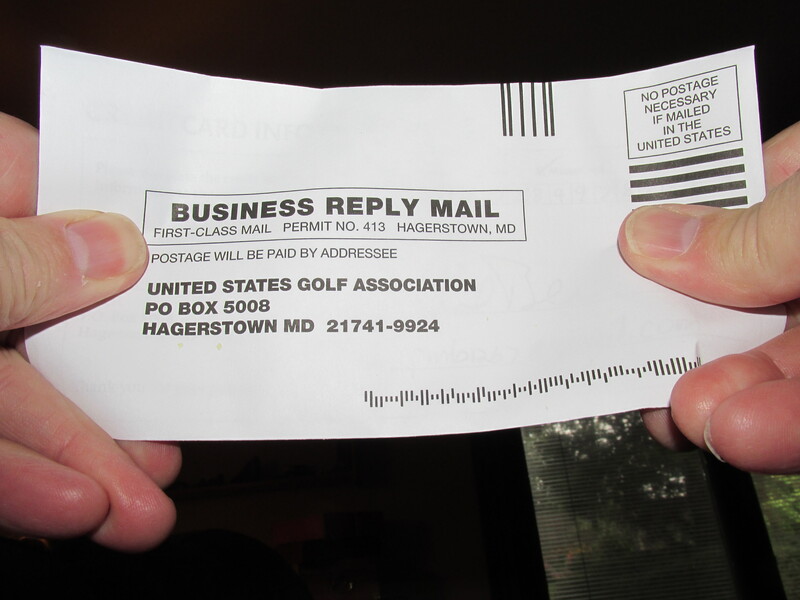 My walk to the mailbox this morning was rewarded by an irresistible offer from the U.S. Golfing Association. A FREE hat! Their generosity gives me hope, too. 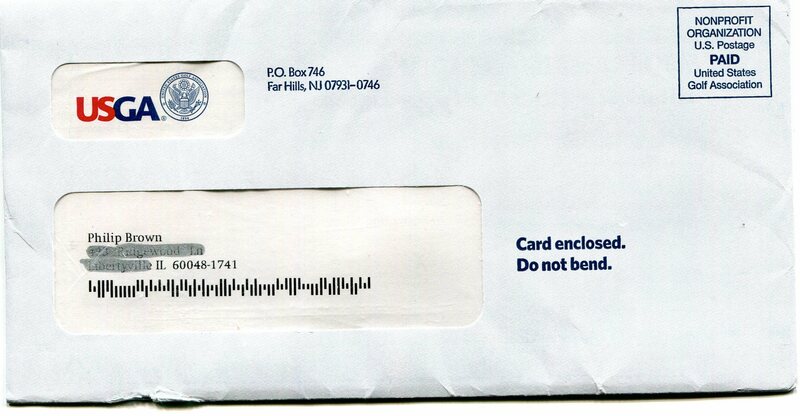 This may be the re-emergence of the direct mail gift premium. Once there was a time when any subscription offer came with a free gift. A calculator. A tote bag. 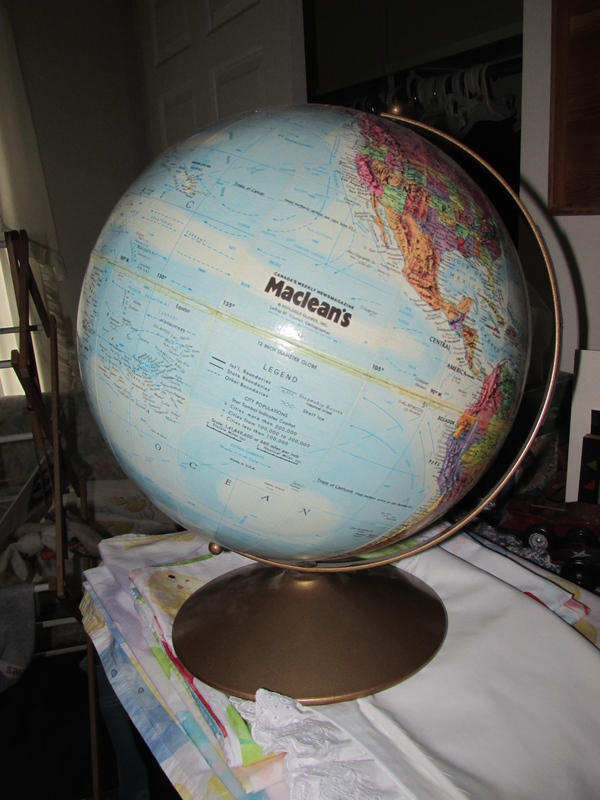 We even received a world globe from Macleans Magazine. A worldly gift with every subscription. The USGA wants me. They actually want me! This kit begged to be opened. Not because there was a hat, but because the USGA had enclosed a card. For me. 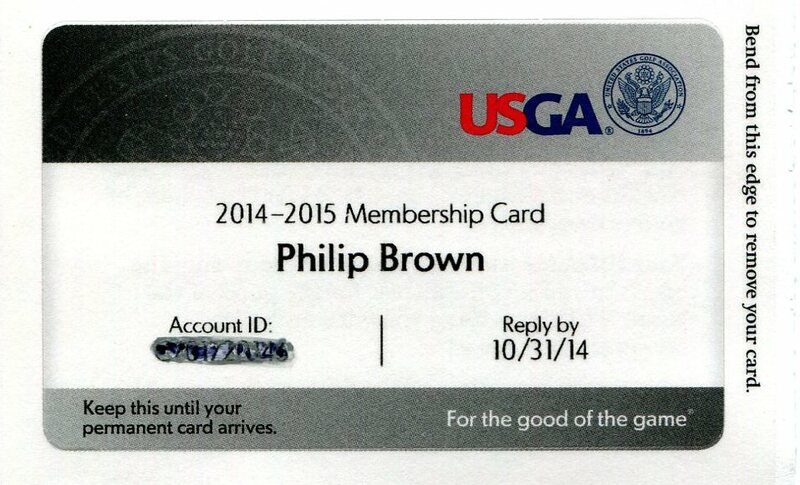 An official USGA card for a horrible axe-wielding duffer who scores a rambunctious 108 on a good day. My handicap is so far off the chart I get a special space to park the golf cart. 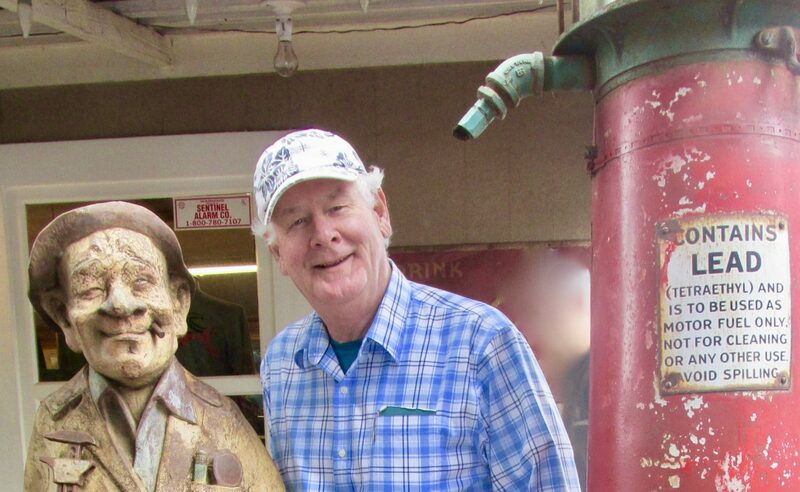 I am keeping this close by until my real card arrives, with my hat. Nevertheless, I am moved by the card. I want it. 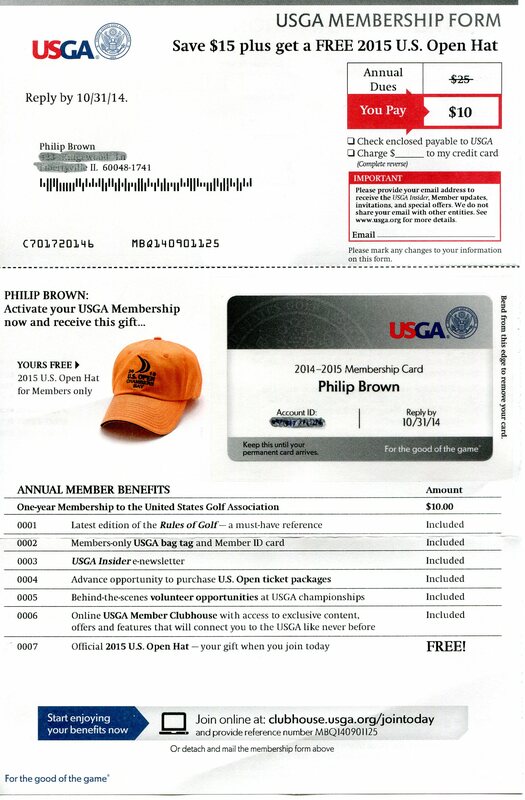 Opening the kit, I am further thrilled to see that I can join the USGA and get a FREE USGA Open 2015 hat. A great slogan. But they don’t know me well. At this moment, we have approximately 30 hats on the coat rack, all emblazoned with someone else’s logo. I don’t need another hat. But truly, I want this USGA hat. A compact offer, with color, balance, and readable content. It’s like they recognize me. And how I have toiled to write “single-bogey” on a par 3. Economics: Does This Kit Pay For Itself? All this stuff comes with the hat. How can you decline? 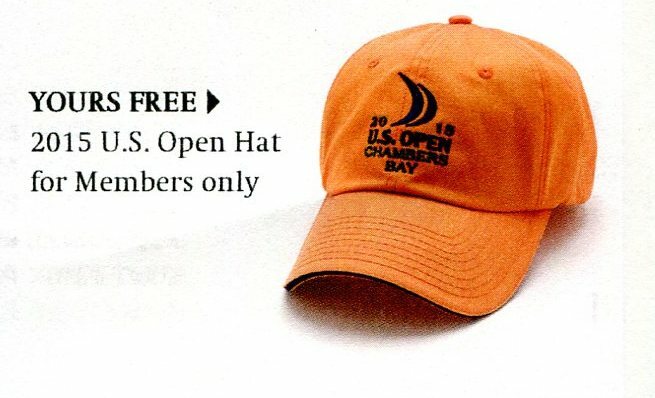 As thrilled as I am, and I am sure countless thousands of other golfers are thrilled at a Free hat offer, will the USGA lose its shirt with this offer? All in, the postage and production for this piece was probably 40-cents. Let’s say they mailed 100,000 pieces. That’s $40,000 out of pocket. Now imagine that 2% of the readers sign up. They each pay $10 to join USGA. That’s 2,000 new members, for $20,000. 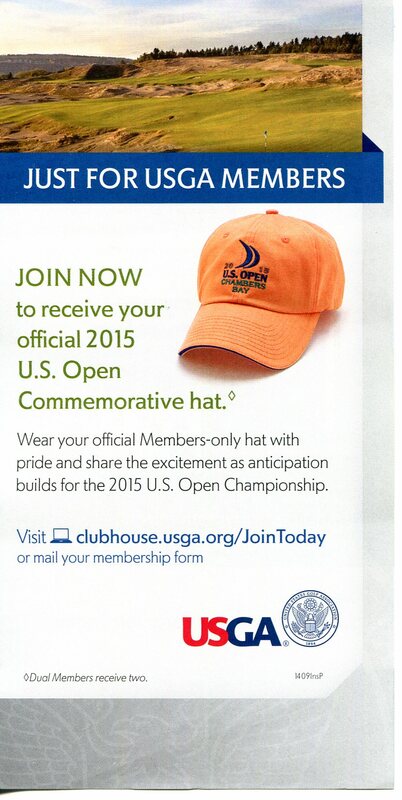 But the hat probably cost USGA $10, so the USGA ends up with 2,000 new members, each with a new hat. And a $40,000 bill. This microscopic email form has just enough room for “@”. I have mailed my reply, and am quietly excited about my new hat. And the free golf rules I get, and all the other stuff. But really, it’s the hat. The thrill of mail order is waiting for the merchandise. And then I start to think, what happens when I wear this hat? First off, it’s yellow– school bus yellow. 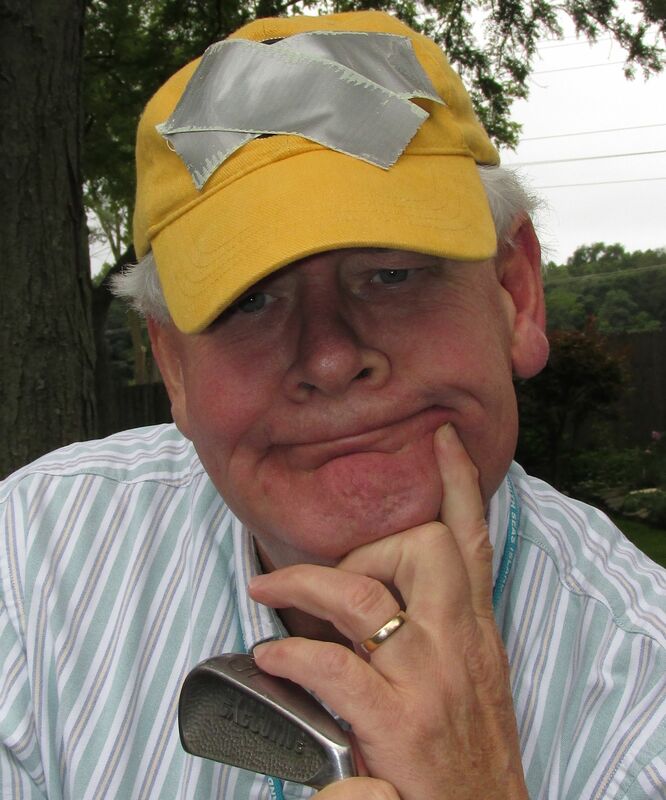 So I will be easily identifiable on any golf course, or in any bar, as the duffer who went for the $10 hat. So the hat is on its way, but I am not exactly sure I can wear it. And that just might be “For the good of the game”. Thanks for reading. If you are a direct marketer, perhaps you should test out some gift premiums. And make sure you put me on your list. ← Triple-A’s Got You Covered! Hats off to you, DYN-O-MITE!! Outstanding!! Hedi, Nancy and I are having lunch with Margaret Tai tomorrow after we visit Sally. Great to hear from you Al. Please leave a stone with Sally from Jane and me. My golf game is much improved, even though my score would not indicate that. Give Hedi, Nancy and Margaret -each- a big hug from me. I wish I was there to join you! Hey Phil, particularly enjoyed your precise analysis on this one as Billy and I worked on USGA for many years. I’m guessing about 8 years if the number of “open” hats I have is correct. Had to join every year, no free-bees. Also interesting to note that the Statement of Benefits acquisition package we developed is still active. Hard to beat a proven cost efficient, benefits driven appeal…especially one that offers a FREE HAT! Best regards, Allan. It’s pretty tough to kill a classic, Allan. But at the end of the day, if you have a good offer, you are in. Now where’d I hit that ball? Gotta love your insight and wit! It is a very nice hat. Pure cotton.